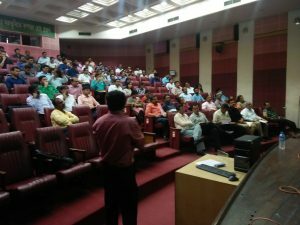 Event: The Board has organize a training program on E-Waste Management with special emphasis on the provisions of the E-Waste Management Rules, 2016 in the auditorium of Paribesh Bhawan on 10th August, 2018. 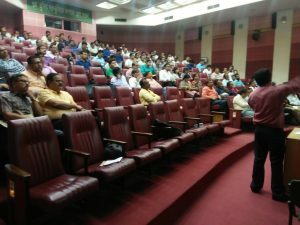 The participants of the training programme were Producers, Consumers, Dismantles, Recycles, Industries and IT companies, officers of Central Pollution Control Board and Department of Environment, GoWB. 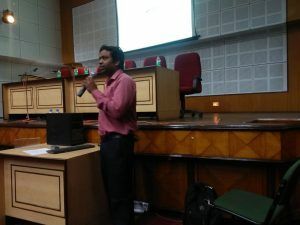 As invited by the board, Shri Kalyan Baital, Scientist C of NIELIT Kolkata delivered the lecture in the workshop of around 100 participants.